[description] => Koode will also be a comeback film for Nazriya Nazim who hasn’t acted in a film since her wedding with Malayalam actor Fahadh Faasil. 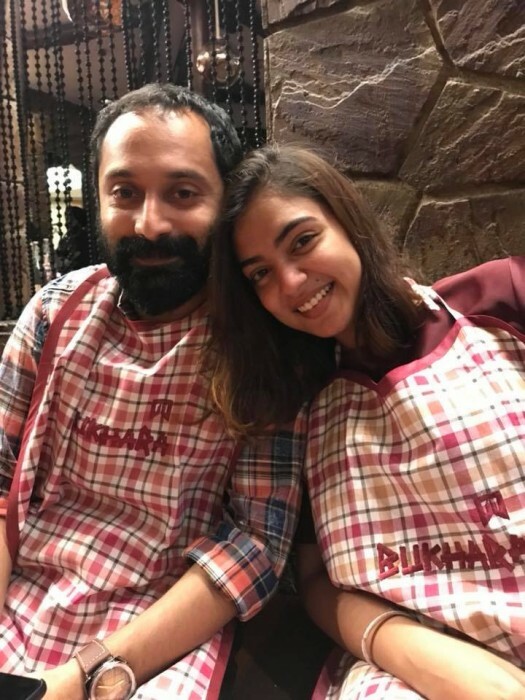 Malayalam actress Nazriya Nazim stayed away from films after getting married to actor Fahadh Faasil in 2014. Last seen in Tamil film Raja Rani, Nazriya will next been in Anjali Menon directorial which is titled Koode and also stars Prithviraj Sukumaran and Parvathy in other lead roles. The title poster of the film was released yesterday by the makers which looks quite interesting. And one person who is very excited about the film is Nazriya’s husband Fahadh Faasil. Fahadh took to Facebook sharing the poster of Koode along with an emotional message which read - "Never before in my life I have had this kind of an excitement to share the first look poster of a movie. More than the great film it’s going to be and the great cast and technicians it has, my excitement is to see someone I love to watch on screen after four long years. She gave up this four golden years of her life to give me a home. I love you Nazriya with all i have and everything I am. All the best Anjali, Raju, Paru and My Own"
After the 2013 release Bangalore Days, filmmaker Anjali Menon hadn’t made a film since and audiences were keen to know when her next film would be. Director Anjali Menon had recently revealed that the film would be released in July this year much to the joy of eagerly waiting audiences. It is also being reported that a teaser of the film might be released by end of June, however, it is yet to be confirmed by the makers. Koode will have cinematography by Littil Swayamp. An interesting aspect of the film is that the film will have music by two music composers M Jayachandran and Raghu Dixit, and will be Raghu’s first outing in Malayalam cinema. This will be an interesting combination and will be most watched out for in the coming season. Koode will also be a comeback film for Nazriya Nazim who hasn’t acted in a film since her wedding with Malayalam actor Fahadh Faasil.